Visibility has been an essential utility for content editors, to dynamically show or hide page contents based on various conditions. At ServiceRocket, we have seen our users using it for various purposes; from simple documentation to full-fledged dashboards, catalogues and knowledge base repository. To support the growing demand for better quality and functionality, especially in mission-critical environments, we have rebuilt the app from the ground up. After 12 years of serving the Atlassian ecosystem as a free app, the next version (5.0) of Visibility will be paid for. 24 hours 5 days a week commercial support, priority bug fixes, improvements and releases just like what ServiceRocket offers to our other paid apps. Improved look and feel that matches Confluence experience. Brand new documentation with more useful resources to guide you in optimizing the usage. Important bug fixes that we weren’t able to fix prior to version 5.0. As of Jan 31st, 2019, Visibility for Confluence is to be paid for at a small fraction of Confluence Server pricing. 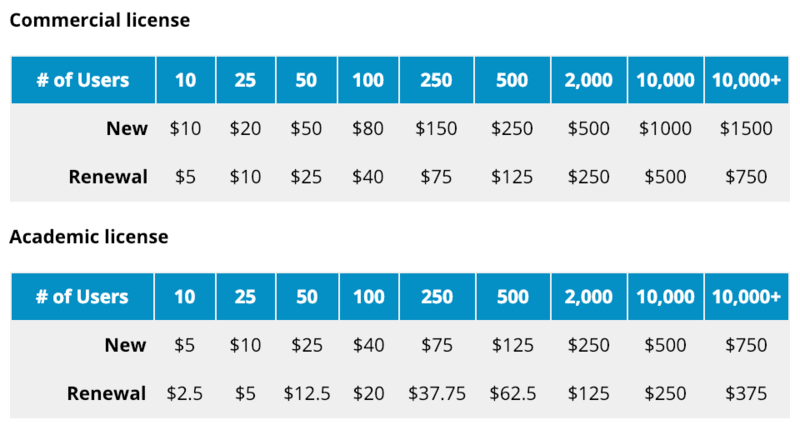 On average, this starts as low as 0.07 cents per user and this pricing scheme will begin from version 5.0. To celebrate this release, you may purchase a new Commercial license by February 28th, 2019 and get 50% OFF! Free, non-profit license is available through Atlassian’s Community License program. Q: I am using a free license for an older version of Visibility. Do I need to purchase a license to use version 5.0? Yes, you will need to purchase a commercial license for Visibility. The free license is not applicable to Visibility 5.0. Q: What happens if I don’t upgrade? You are free to use the older versions of Visibility at no cost until your current free license expires. Note that ServiceRocket will no longer issue the free license. If you need extended access and license to Visibility pre-5.0, please reach out to our support team at https://success.servicerocket.com/support. We recommend purchasing a commercial license to keep Visibility up-to-date with the latest bug fixes, features and compatibility with your Confluence version. Q: I need more time to purchase Visibility 5.0. What can I do? There’s a free 30 day trial from Atlassian Marketplace. If you need assistance, raise a request at https://support.atlassian.com. If you need extended access and license to Visibility pre-5.0, please reach out to our support team at https://success.servicerocket.com/support. Q: How do I upgrade Visibility to version 5.0? You may install or upgrade the app via the app manager in Confluence, or upload the OBR file downloaded from Atlassian Marketplace. Any existing Visibility macros will continue to function as usual. See full instructions. Q: Where can I purchase the license? You may purchase from Atlassian Marketplace. Q: What version of Confluence is it compatible with? At the time of the release, it is compatible with Confluence Server version 6.1.0 - 6.14.x. Q: Is Visibility available for Confluence Data Center? The official Data Center approved app will be available by June 2019. Meanwhile, the Server edition can still be purchased and used in Data Center. Q: Is Visibility available for Confluence Cloud? Yes, currently in Beta. Get it from Atlassian Marketplace. Q: Where can I ask further questions? Contact our 24/5 support team at https://success.servicerocket.com/support.